The first thought is understandable – we all fear pain. The second revealed a poor theology of grace and a dualistic way of approaching life. Our way of approaching life creates polarisations in our theology and practice. We separate believing from living, prayer from service, work from rest and this life from the next. When under duress, such as the story above, this fragmented life is uncovered. I would have argued that we are saved by grace alone not by works (Ephesians 2:8), yet when I thought I was going to die I was fearful that my works were insufficient to earn my salvation. It was as if I felt that this earthly life was a testing ground, a place to earn spiritual points for heavenly gain. This way of thinking can be found in many theological reflections. The more we serve others, the greater our reward. The more we suffer now, the more holy we will become. The more we sacrifice now, the greater the gain in heaven. We place our hope and we invest in the life to come. This sounds sensible. However, this also reveals a dualistic way of thinking. What do I mean by this? Jesus proclaimed that the Kingdom of God had come now in Him. His death on the cross removed the barriers of sin and separation from God. Even though we will know God more fully when Jesus returns, the truth is he is with us now. His presence and power are here now, not just at the end of the journey. We live in the new Kingdom now. We experience it, we reflect it, we demonstrate it, we proclaim the Good News of it now. It is in the midst of the pain and struggles of this world that God’s Shalom breaks in. Our worship and celebration is that we are already tasting the new life now, we are together with God now. As we know God more and more each day, he helps us to see the world through his eyes. We love our neighbour because we sense God’s love for them. We love our community because God longs for our community. We love our nation because God seeks to redeem every aspect of it. We care for our planet because it is God’s gift and call to us. Love is therefore the motivation for service. 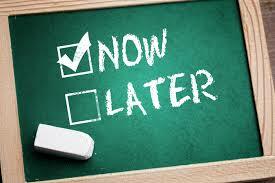 Of course the tension between the now and the not yet means we live in the present with the ongoing revelation of Kingdom of God inspiring us onward. We are strengthened and guided by the truth that Jesus is already in us and with us. Our service may at times be out of duty but our hope is that as we know Christ more and more each day it becomes a labour of love and joy. Lord, without you our works will lack transformational power. Without love, works will seek rewards. Fill us with your Spirit and open our hearts and our eyes to see each person, each family, each community with you heart of love. 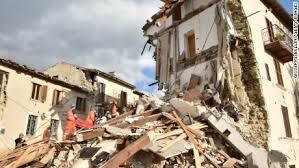 We were saddened to hear of the devastation and loss of life cause by the 6.2 magnitude earthquake in central Italy, affecting the towns of Accumoli, Amatrice and Arquata del Tronto. Father, we mourn with those who who have lost loved ones and pray your protection and healing on those who are injured and still trapped. We also pray that your strength and guidance will be with the churches and agencies that are responding to the needs of the victims. We were all shocked to hear of the attack by two men who claimed allegiance to ISIS, on a church in Normandy, France. After taking 5 hostages, they murdered 85-year-old priest, Father Jacques Hamel, who was leading mass. This attack came on top of other recent attacks in France and Germany, but was particularly troubling as the first attack on a church in Europe by ISIS. Father, we are shocked and saddened by these violent attacks. We pray you will comfort those affected and Lord that you would bring peace as only You can. Father will you bring Your shalom to the communities of France and Germany and may these attacks not breed fear and division, but a desire to seek understanding and tolerance. 1st September - a day to pray for the care of our world. Rev Ullash Kar from New Action India has requested prayer for Kasori Bhatra who has been admitted to hospital with health problems. Coupled with this, heavy storms have detsroyed their church building. Please hold this family up in prayer. We are thankful for the opportunity for some of Micah's National Coordinators to meet in the UK from 8 - 12 August. While the non-granting of VISAs and family committments meant a number of people could not join us, sessions were recorded and documents circulated for broader discussion. The time together included discussions on building the Micah movement, the themes of poverty, injustice and conflict, the SDGs and advocacy. Lord, we thank you for the National Expressions of Micah and for the passion they have to engage, equip and further the practice of integral mission in their contexts. We pray for the fruit of the recent meetings to be seen across the Micah movement globally, nationally and locally. Christine MacMillan, one of our Board members in Canada – Lord, draw close and bring healing to her we pray. 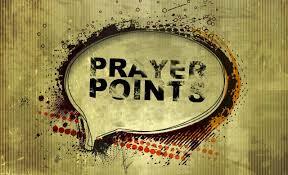 Eszter Dani, one of our members in Hungry – Lord draw close and bring healing to her we pray. Peter Akanimoh, our national coordinator in Nigeria – Lord thank you for bringing him through the recovery from his aneurysm. We continue to pray for his full recovery. Rolando Perez, one of our Board members in Peru – Lord, draw close and bring healing to him we pray. Serguem da Silva, our national coordinator in Brazil – Lord, comfort him and his family as they grieve through the loss of his mom. Santosh Mathew, leading our working group on health and wellbing in India - Lord, be with Santosh and his family, comfort and strengthen them as they mourn the loss of his father. Lord, these precious people are our family and we dare to imagine more for each of them and ask you to heal, restore and fill then in your power and through your love and mercy. Latin American Regional Consultation in Honduras: 5 to 9 September: Lord – be present and guide each conversation. We pray for a significant breakthrough and clear next steps to bring Shalom to places of violence. Nicaragua Conversation: 12 September: Lord, pour out your love and give us your vision for this country as we meet together. Kenya Conversation: 22 to 23 September: Lord, you are the Prince of Peace – we pray that you will guide this meeting as we tackle issues of division and conflict.